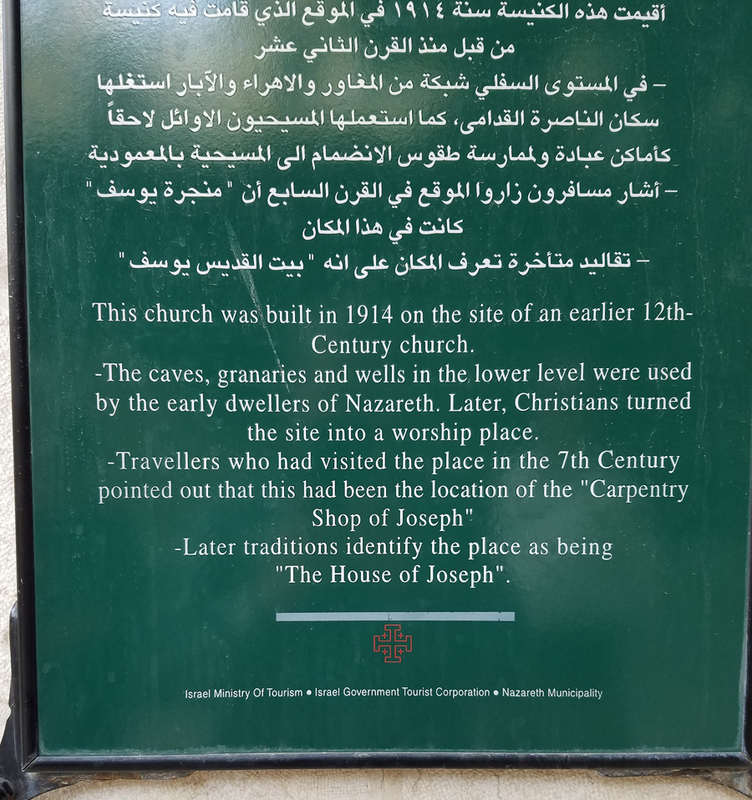 Pious tradition suggests that the church of Saint Joseph in Nazareth was built over the workshop of Joseph. 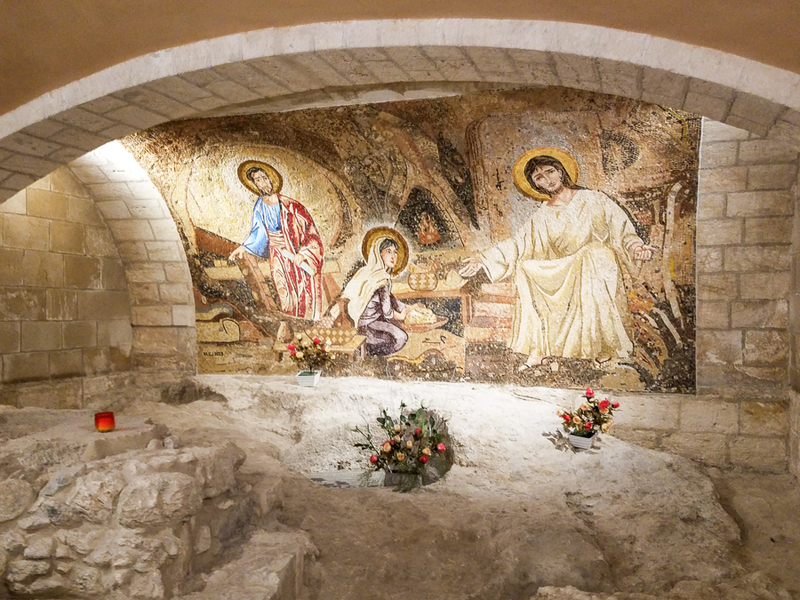 Although the mosaic commemorates the workshop, the place was a major water source so I imagined Jesus accompanying our Lady there. This entry was posted in Christianity and tagged Holy Family, Joseph on December 30, 2016 by frjfkauffmann.